Your property makes up more than just your house and lawn. It includes your driveway, sidewalks and Pathways in San Luis Obispo. Pay special attention to these areas when it comes to your landscape design and maintenance; and, when you’re ready for that next hardscaping project, let our expert San Luis Obispo landscapers design your Pathways in San Luis Obispo. The driveway is one of the first areas people see when they arrive at your home. It is important to make a great first impression. Interlocking concrete pavers for pathways and driveways offer exceptional benefits to any home or commercial development. 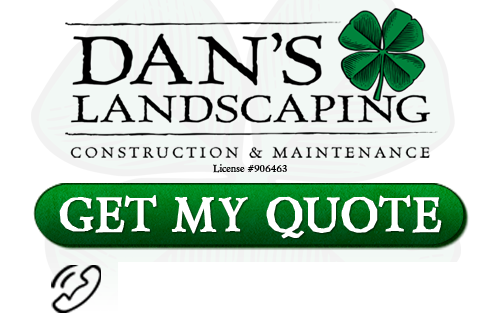 Contact Dan’s Landscaping Company and learn the other benefits of having an elegantly designed and landscaped driveways and pathways. They provide professional design and installation services for your driveway, patio, or walkway. If you’re considering a new driveway installation, let’s work together to ensure that the new design matches your home’s current style while introducing new features that update your curb appeal. Based on the available area, you’ll want to choose the dimensions of the driveway and the material you’ll use. You may also want to select other features such as fresh plants and modern lighting to help make that lasting first impression. 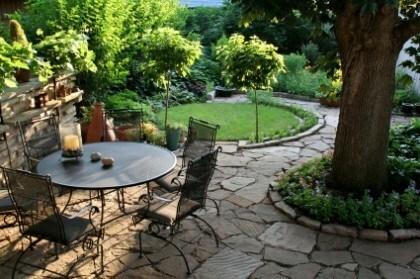 Does your landscape include a path that gives you access to your flower bed and garden areas? We can create a stylish path or walkway that guides your visitors on a walk through your scenery. Give us your creative ideas and we’ll help you choose the right design and materials. Whether you need a simple walkway to serve as an entrance to your home or a long walkway that leads to your gardens, pool or patio, Dan’s Landscaping Company can design and install the pathway that fits your entire landscape. We offer a broad range of materials for your walkway or driveway. You can choose from natural stone, paver stone and stamped concrete. Each material has its own benefits. For example, natural stone or flagstone offers textures and a natural shape as opposed patterned paver stones. Paver stone is visually appealing and comes in several interlocking designs to choose from. It’s also eco-friendly. A newer design option is decorative or stamped concrete which brings color and pattern into the application of concrete. You can see examples of our work with this newer process in our Photo Gallery where you’ll see a rich combination of color and decorative patterns. If you are looking for professional Pathways in San Luis Obispo then contact Dan’s Landscaping Company at 805-550-5488 or complete our online request form.